Direct Store Delivery (DSD) is a business process that manufacturers and wholesalers use to both sell and distribute goods direct to the point of sales or point of consumption. This often can include additional product and market related services such as merchandising, information gathering, or equipment service. Contrast this to other distributors who rely on outside 3PL logistics carriers for shipping methods such as LTL, full truckload, local courier or small parcel. Choosing DSD as a business model is not to be taken lightly. There are investments starting with buying a fleet of vehicles and hiring a team of outside driver / sales reps, in addition to buying or subscribing to the software you’ll need to manage it all. But by going with DSD businesses you are able to get very intimate with your customers. You’ll get a better handle on what’s selling and why. You’ll spot customers trending away from you – and keep them from leaving you. It’s also a a great way to understand your competition better. DSD is most common among certain Food and Beverage companies, especially those with higher turnover product. This includes bakeries, beer distributors, wine and spirits, grocery wholesalers, milk and dairy, salty snacks, frozen pizza, ice cream and so on. However, when analyzing your client and prospect base, be aware that DSD is also common for distributors of oil and gas products, auto supply, electrical and industrial supply – or any other industry using their own trucks to deliver their own products. 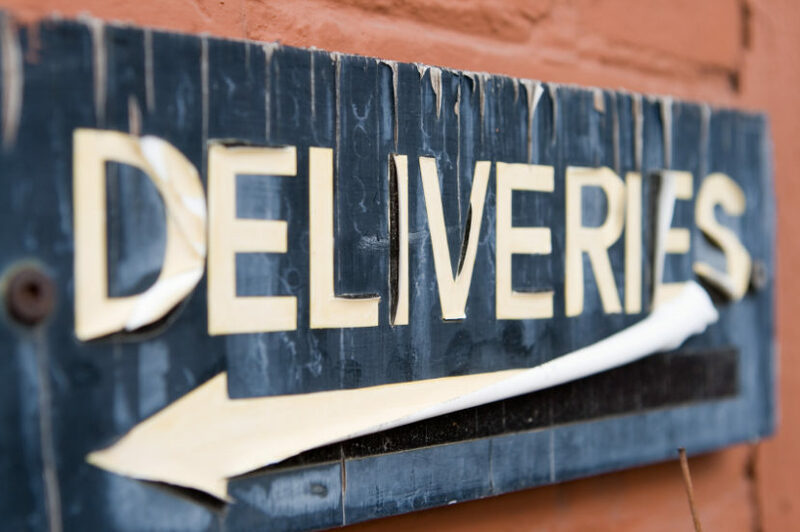 Read our blog here about signs that may indicate you are ready for Direct Store Delivery technology. What processes are handled by DSD? The value of DSD software and systems stems from the wide range of processes it impacts. In fact, DSD is an Enterprise solution in its own right. Here are some of the processes DSD touches. Trucks may be loaded based on pre-defined product mixes based on what the driver is expected to sell on the route. Others may load based on pre-sold orders that are picked by truck. Others may load based on a hybrid of the two. In any event, the faster and more accurately a truck can be loaded and moved off the dock, the more time drivers can spend on the road with customers selling. The larger the fleet and the more physical warehouses, the more opportunity for DSD automation software to create positive results. Movement of all those products every day on and off trucks creates a lot of opportunity for variance in inventory quantities. Some companies may wish to treat each individual vehicle as a warehouse in the ERP so all interested parties can view inventory at any time. Other considerations include tracking of Lot tracked inventory (think Dairy, think Bakery). Good DSD software provides checks and balances minimize waste and create warehouse efficiencies. Route planning is all about time and fuel efficiency. This can be one of the more challenging aspects of DSD to automate. Some customers may have only certain windows of time that they’ll accept deliveries. Drivers encounter traffic detours. They sometimes get hung up at one customer or another. Nonetheless, companies make their best efforts – whether the routes are on a fixed schedule or based on the deliveries needed that day – to ensure maximum efficiency for the routes. Good DSD software will help minimize the headaches and go a long way toward creating the best plan for each day. Sales teams that are really on their game will put a lot of emphasis on daily planning for the reps. Reps will review communications, reports, KPIs and a route schedule to ensure they’re adequately prepared for the priorities of the day. Often these plans are created by sales or route managers. If there are new products available to sell or new customers on the routes, they’ll learn about them when doing their daily planning. This may be done the night before or the morning of that day’s route. Enterprise DSD solutions provide the tools to manage many or all of these activities. Non-sales activities encompass everything the Rep must address during a store visit in addition to capturing and processing transactions. This might include survey-type information to be gathered about competitor products. It may also include delivering, maintaining or picking up company-owned assets such as coolers, dispensers, display cases, etc. Non-Sales Activities may also include reviewing the customer site for promotion or signage compliance. Participation in those kinds of programs may even dictate whether or not special pricing may apply or not for that particular customer. Reps may also be responsible for counting and tracking physical inventory daily at each customer. This can be a vital step in terms of optimal load planning. They’re also likely to perform other merchandising, including stock rotation, pulling expiring product and introducing new items to the customer. They’ll also review sales history and gauge customer satisfaction. Non-sales activities tracked and automated by the DSD system can be quite valuable. The store visit is of course also about selling and delivering. The range of transactions can be very comprehensive. New orders (sometimes called Pre-sales) may be taken for later delivery; deliveries already on the truck may be completed – and signatures captured; route sales (new sales initiated on the spot) may be completed. In addition to that, returns may be taken or requested; payments may be received and processed; products may be exchanged one for another. And of course the good DSD system will calculate all of the inventory movement, ensuring proper customer pricing, and otherwise controlling all of the products and money being exchanged. Each day (or sometimes longer intervals, especially for rural routes) the driver will return to the warehouse after completing the route. Some companies will completely unload the truck each time. Other companies will only occasionally unload the truck. Those companies will need to re-load the truck based on the delta between what remains onboard and what is needed for the next run. In either event, controlling both inventory and payments by warehouse, by truck, by driver, is an important process for DSD. Complexities for inventory can include whether or not product is damaged, expired or otherwise needs to be controlled in order to determine the put-away action. Payments need to separated by type – cash, check, credit card, etc. Naturally accounting will want all of this inventory and payment information to reconcile accurately with the ERP / Accounting system. End-of-day reports may be reviewed at this time between management, warehouse and the driver/reps. End-of-day processing is part of any enterprise DSD system, though the level of integration into the ERP can vary greatly. There can be many other considerations and requirements that a company may consider regarding their DSD system,. We won’t go into depth about those things here, but you should be aware of these things too. Not all ERP integrations are created equally, but we find that the biggest value for a company is when there is seamless integration between the backend system and the operational aspects of DSD. Obviously the less integration you have the less you will benefit from shared visibility and elimination of administrative help. Most DSD systems are built to “work with any system” which typically means that the integration is pretty lean. That’s one of the unique things you’ll discover working with xkzero – our DSD system is built specifically for Sage 100, Sage X3 and Acumatica. Our team is expert in those ERPs and the result is an uncommon level of integration – and a very strong value proposition for the end user company. We hope you’ve found this information useful. If you know of a business that wishes to make DSD a core differentiator in growing their business and profits – that’s good news for you. xkzero would love to partner with you. Our xkzero Mobile Commerce system is designed for mid-sized and growing small businesses who want the power of a world class DSD system engineered to work seamlessly with their ERP and Accounting systems. “When I think about where we were last year compared to where we are now, we’re just leaps and bounds ahead. We’ve changed the way literally every job in our company is performed. People are now more comfortable, they’re more confident, and for sure they are more efficient. 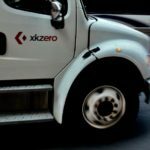 We’ve just come so far as a result of implementing this system.” ~ Fran Taglia, COO, Power Distributing, Inc.
We invite you to contact us at info@xkzero.com or by calling 847-416-2009.